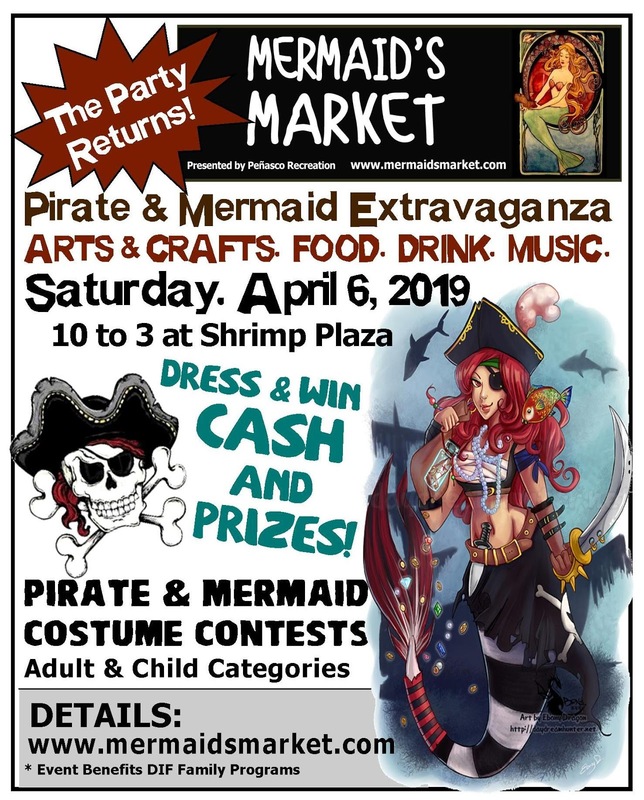 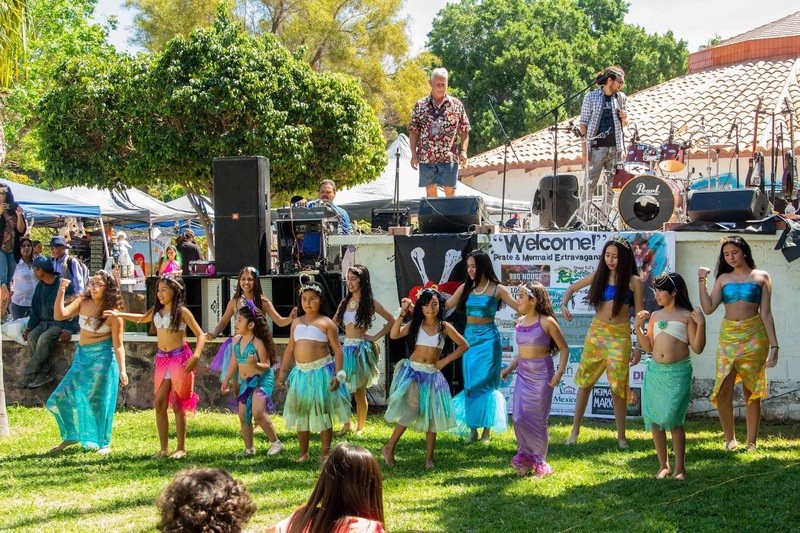 The Mermaid’s Market is in its 7th season! 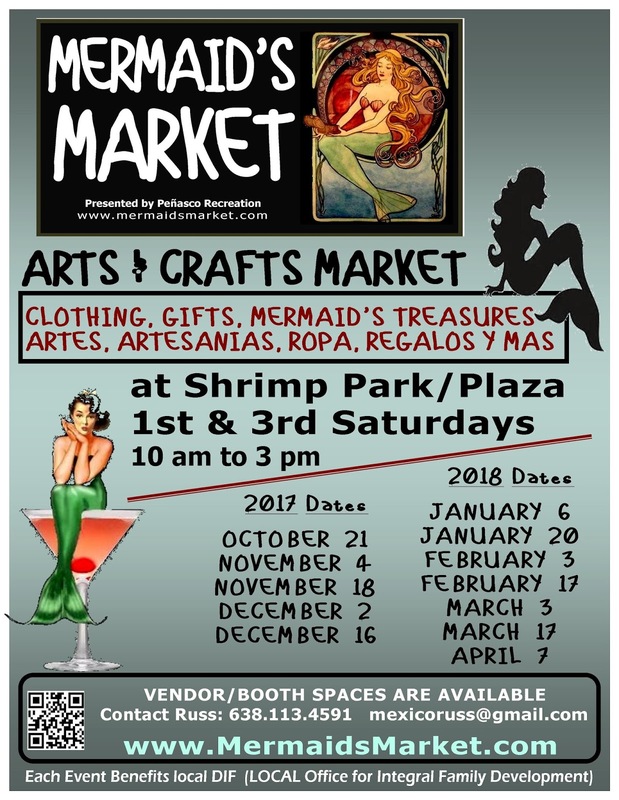 It seems like just a few days ago it was October and we were anxiously waiting for the construction workers to be finished working in the main section of the Shrimp Park! 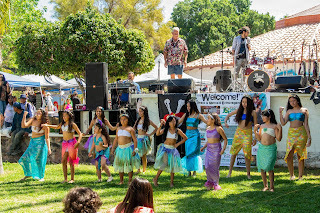 And, now we have been enjoying the remodeled park for several months! 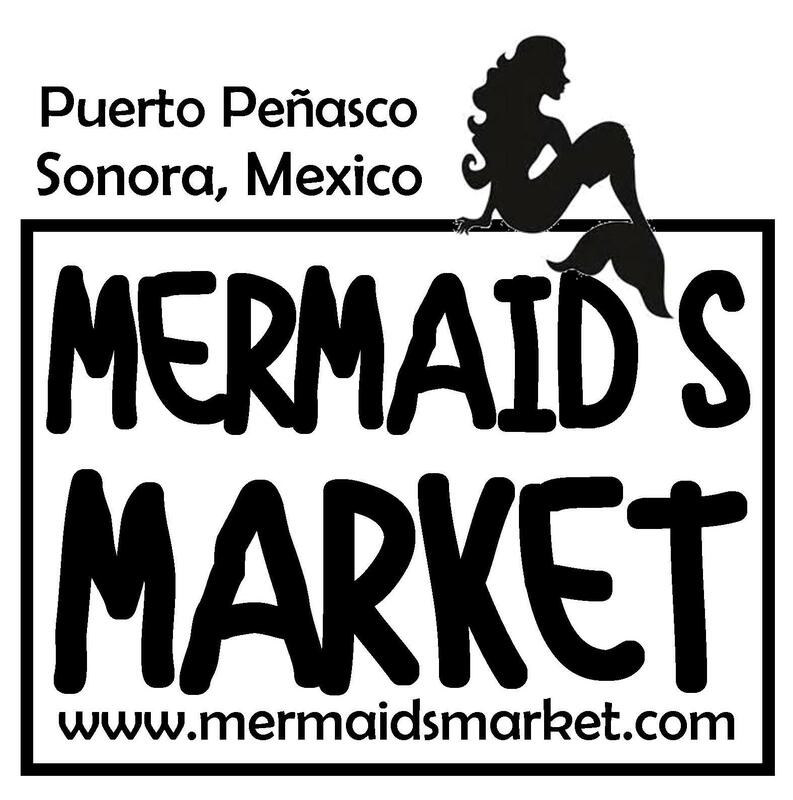 The market has become known as a great spot to find unique & eclectic ‘mermaid treasures’ (including gifts, clothing, candy, home decor, paintings, photographs and more.) Thus, making the 1st and 3rd Saturdays a fun, one-of-kind shopping day! 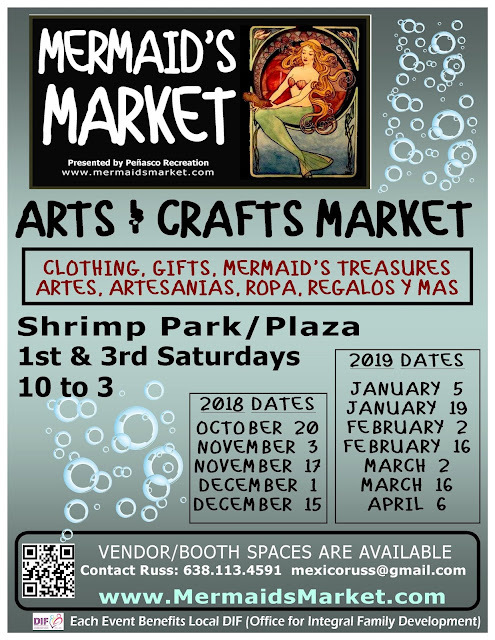 Each year, we welcome a few new vendors. 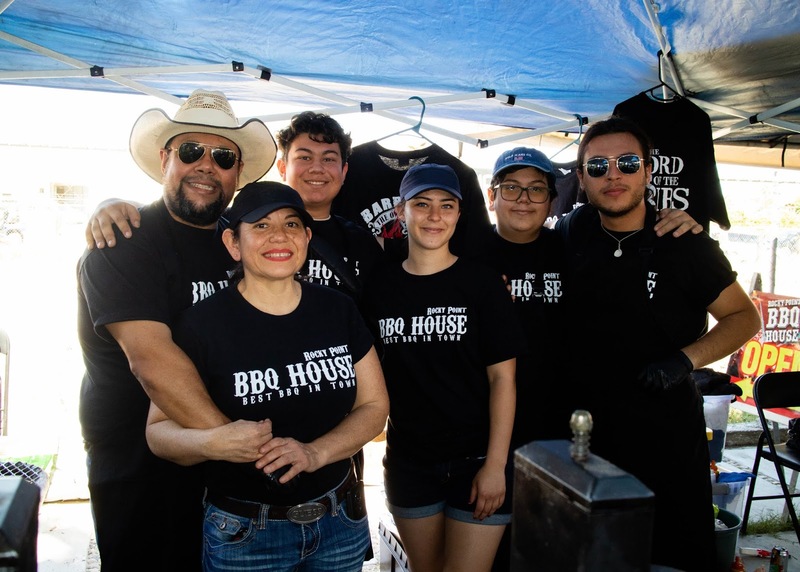 The BBQ House Restaurant has become a regular landmark at the park this season! 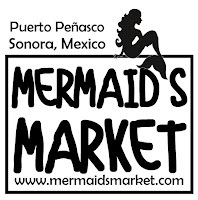 It is fantastic to have delicious barbecue lunches available right next to the Mermaid’s Lounge – where you can also grab a beer, Mermaid Margarita or Bloody Maria. We also have other new regular vendors (who we call “mermaids”) offering artisan coffee, candy, baked items, jewelry and more. 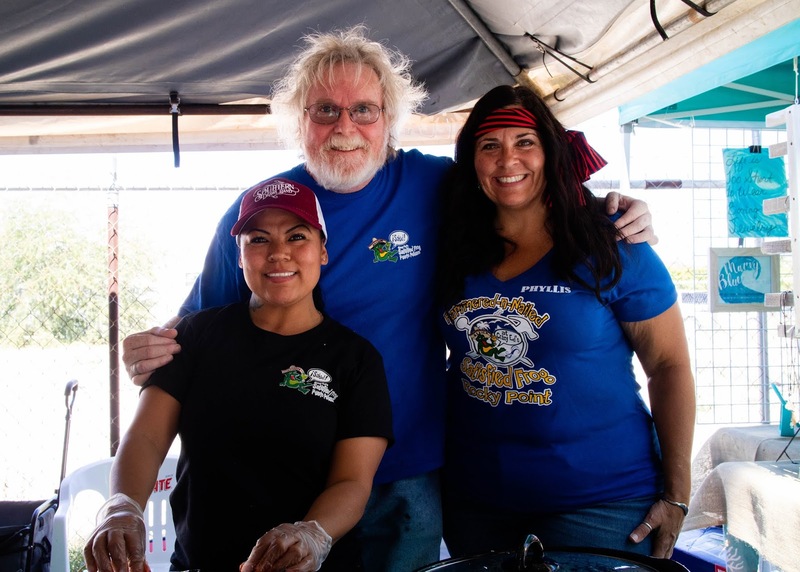 On the first Saturday of February we joined efforts with the Local Rotary Club and co-hosted the 2nd Annual Fishbowl Seafood Fest. 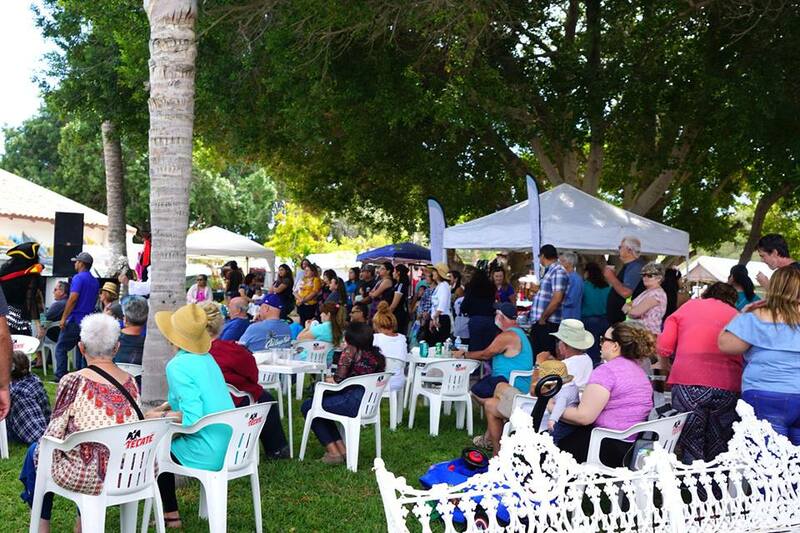 This Rotary fund-raiser brought almost 20 restaurants plus over 25 arts & crafts vendors to the park! 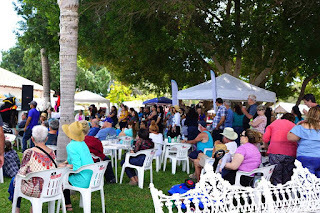 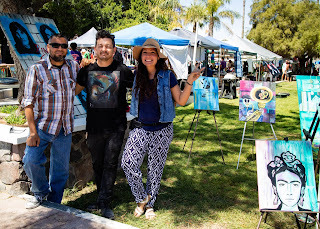 After an early morning rain “drizzle” we ended up having a fantastic sun-filled day of food, music, art and fun. As spring is arriving, we are looking towards April and making plans for our season finale! 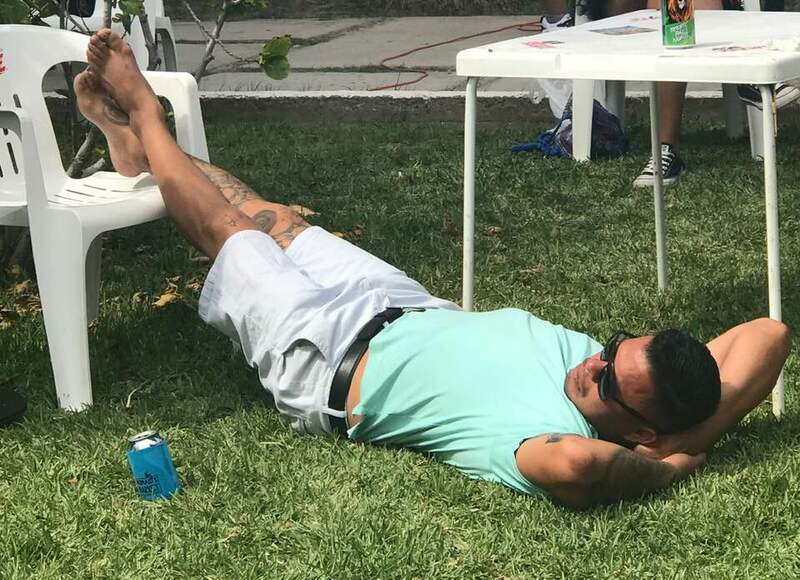 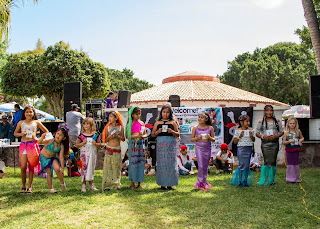 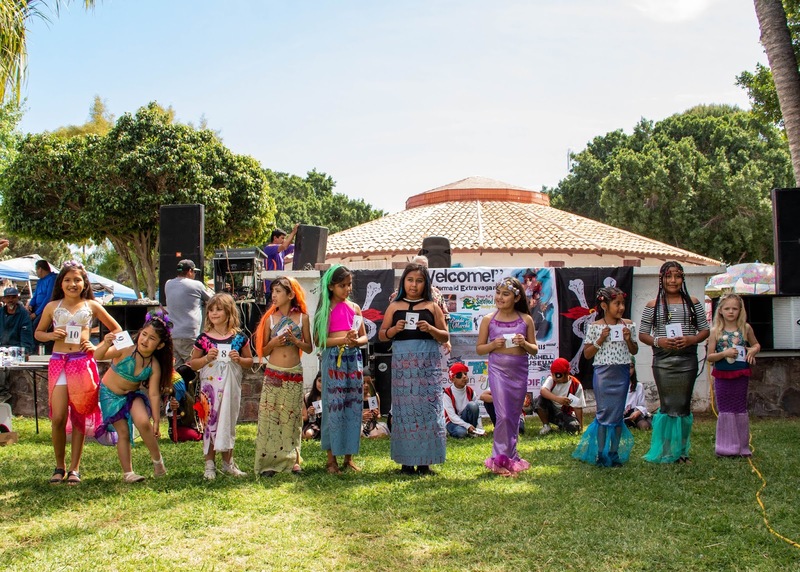 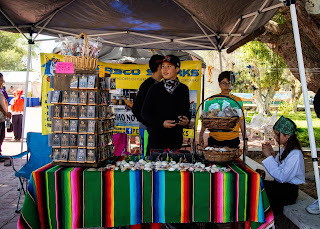 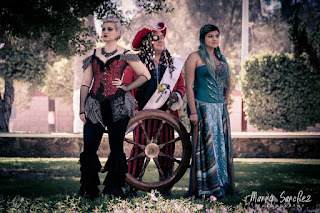 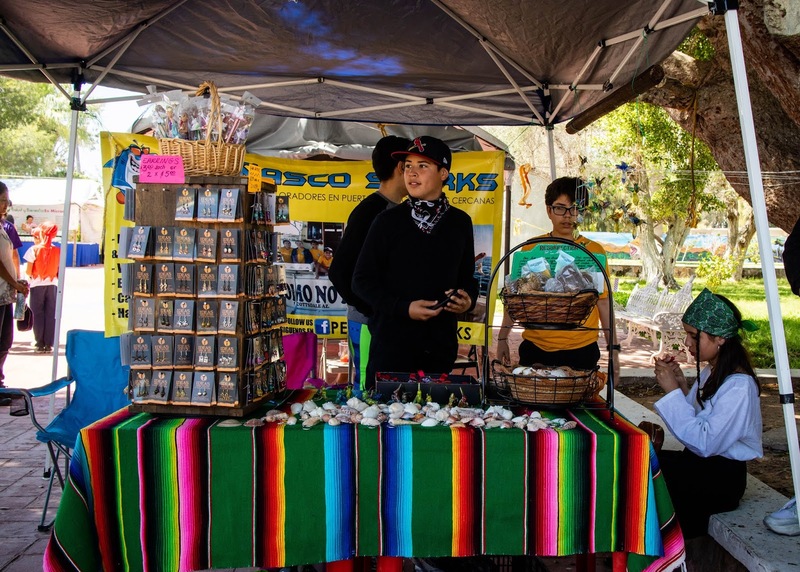 Last year with an unusually early Semana Santa week and an equally early visit from the Oaxaca Arts & Crafts merchants, our annual Pirate and Mermaid Extravaganza was forced to take a hiatus. 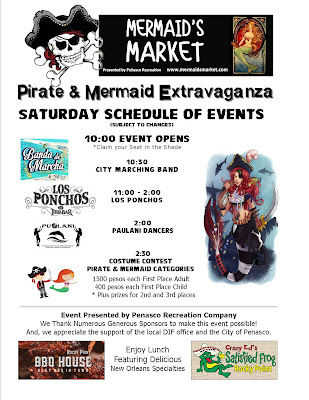 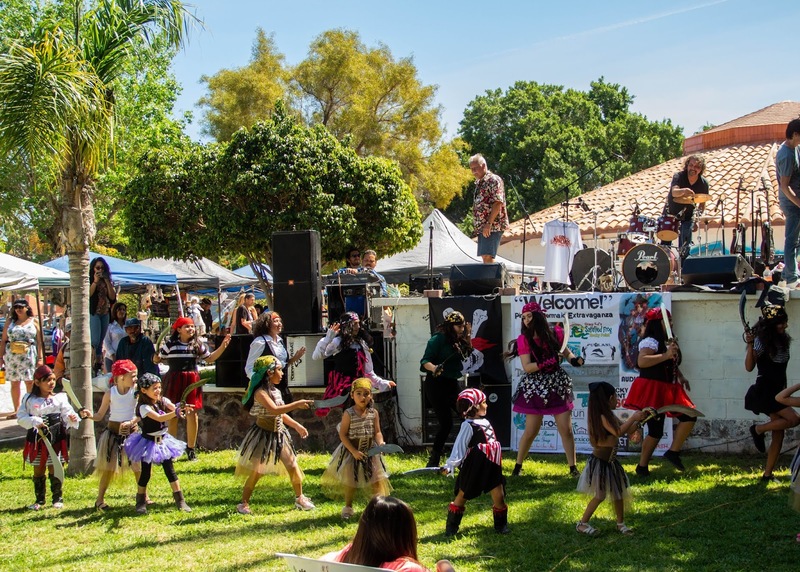 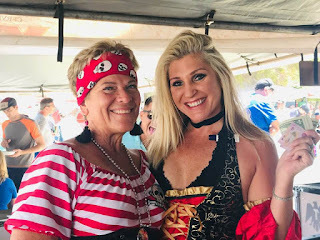 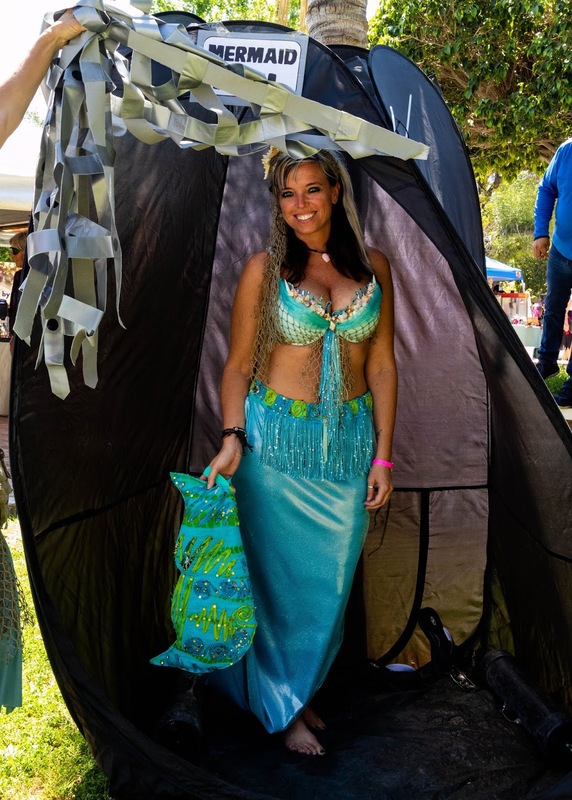 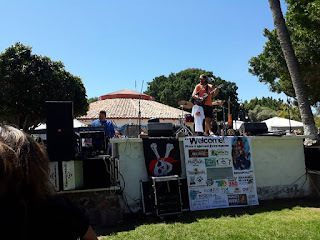 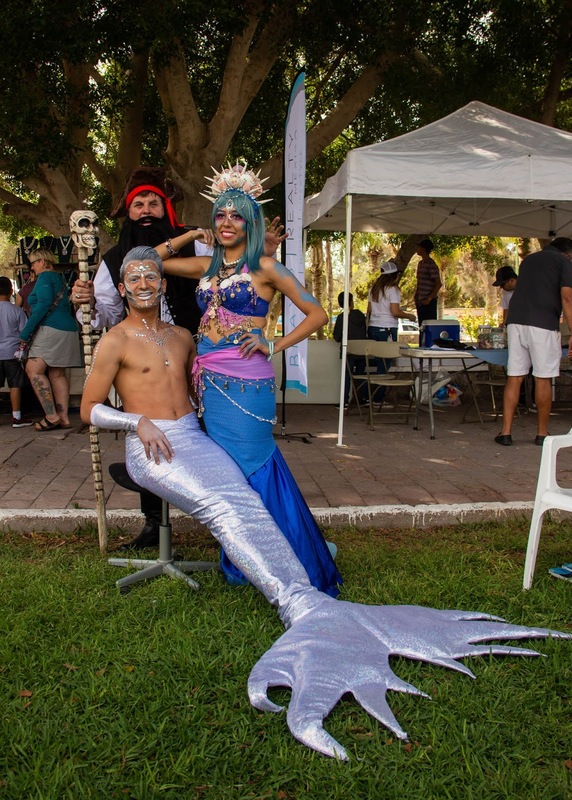 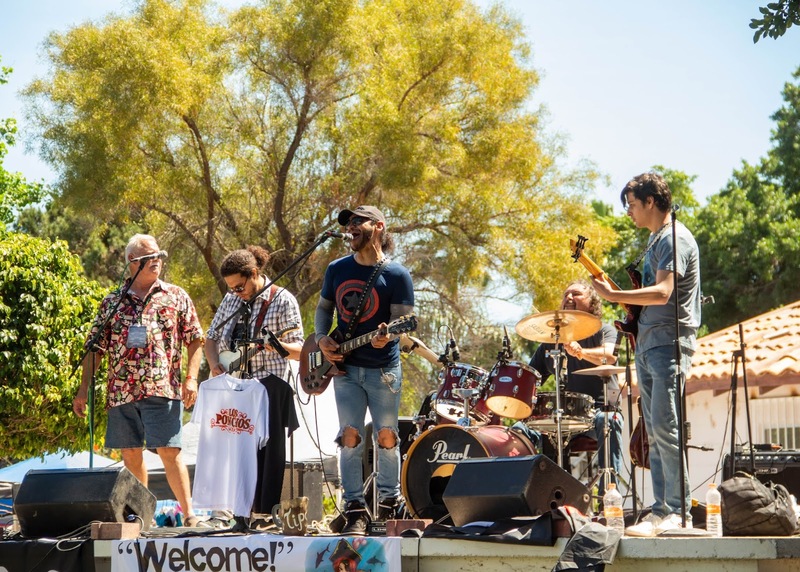 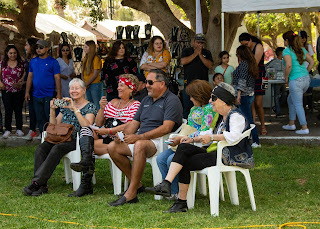 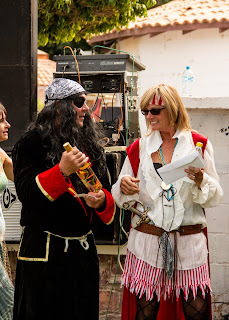 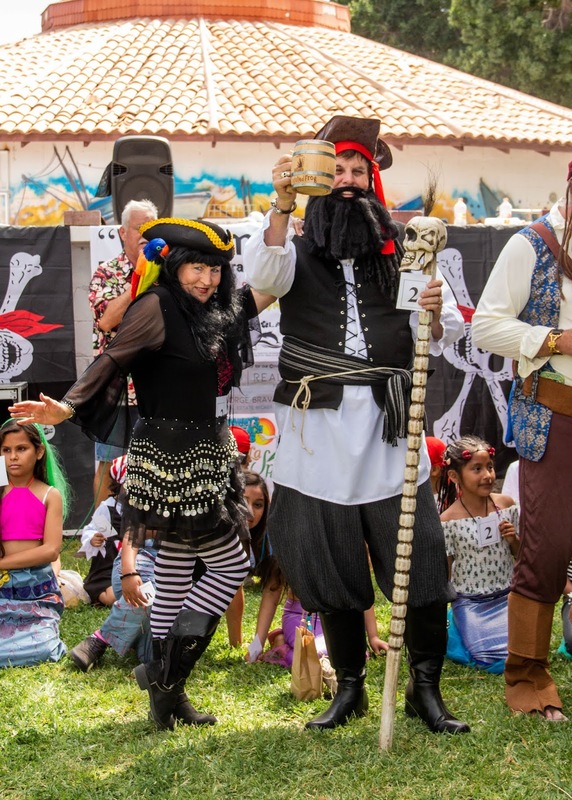 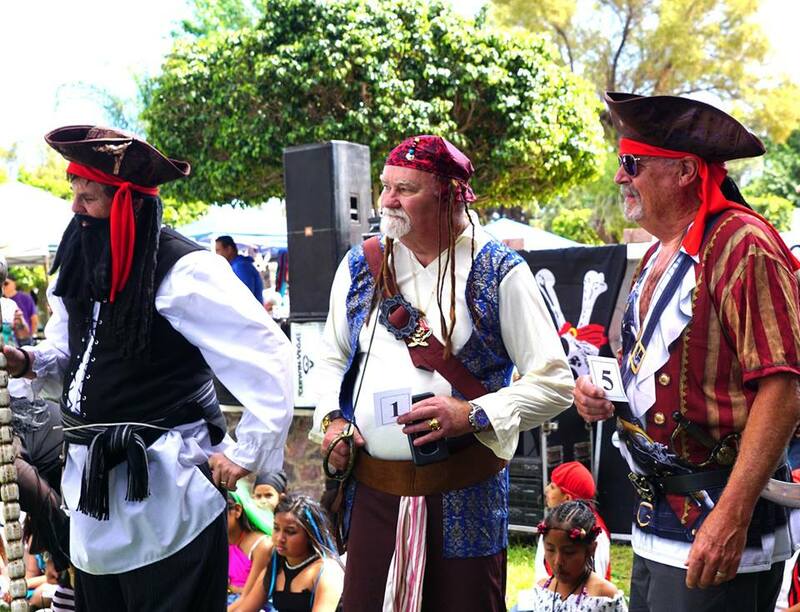 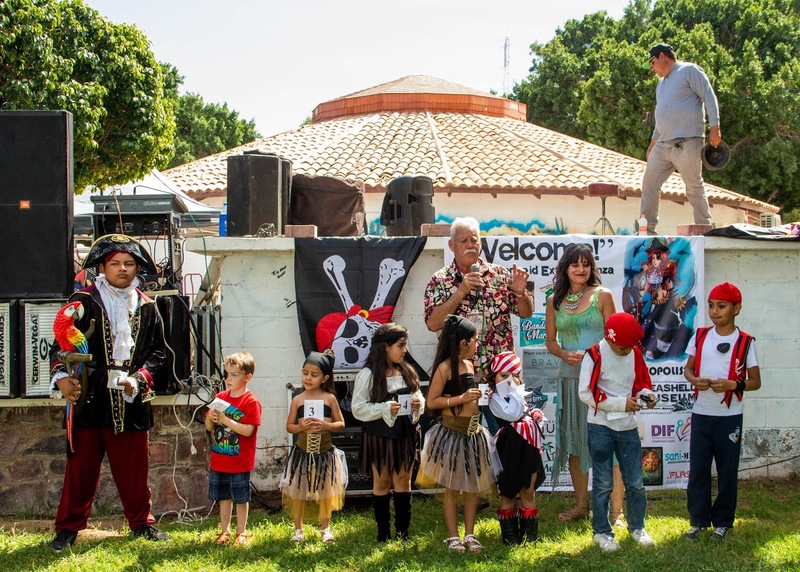 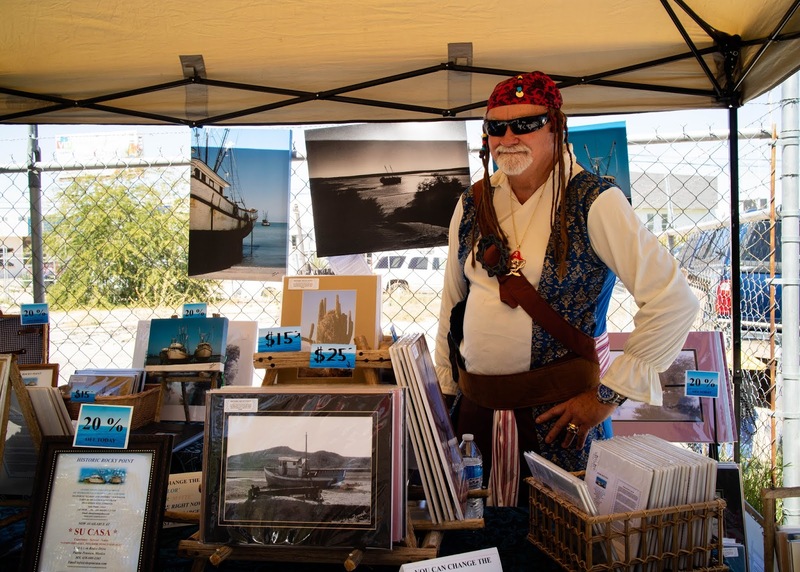 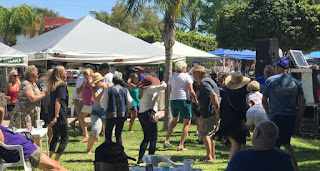 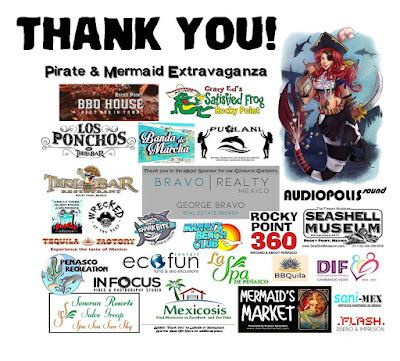 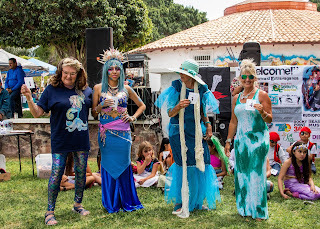 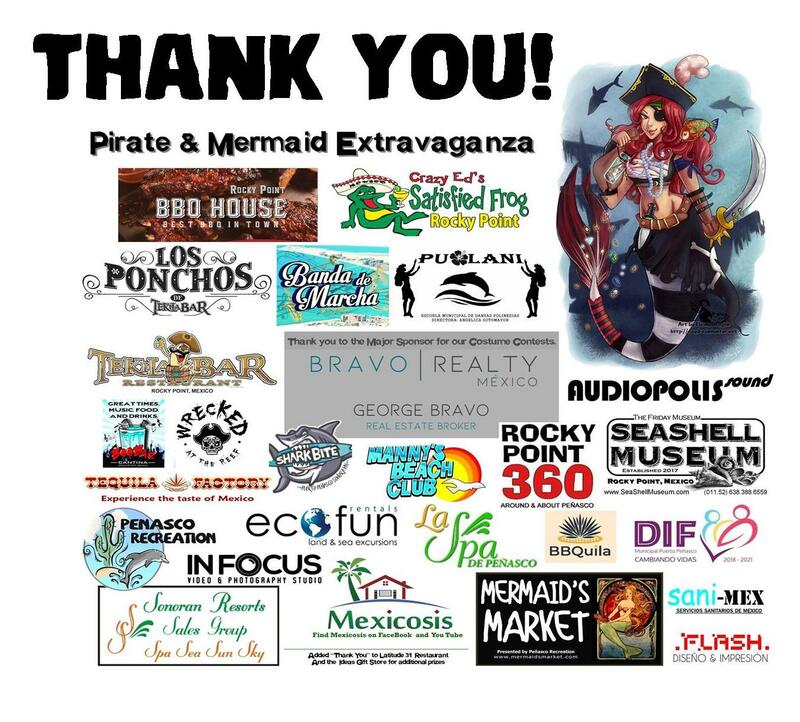 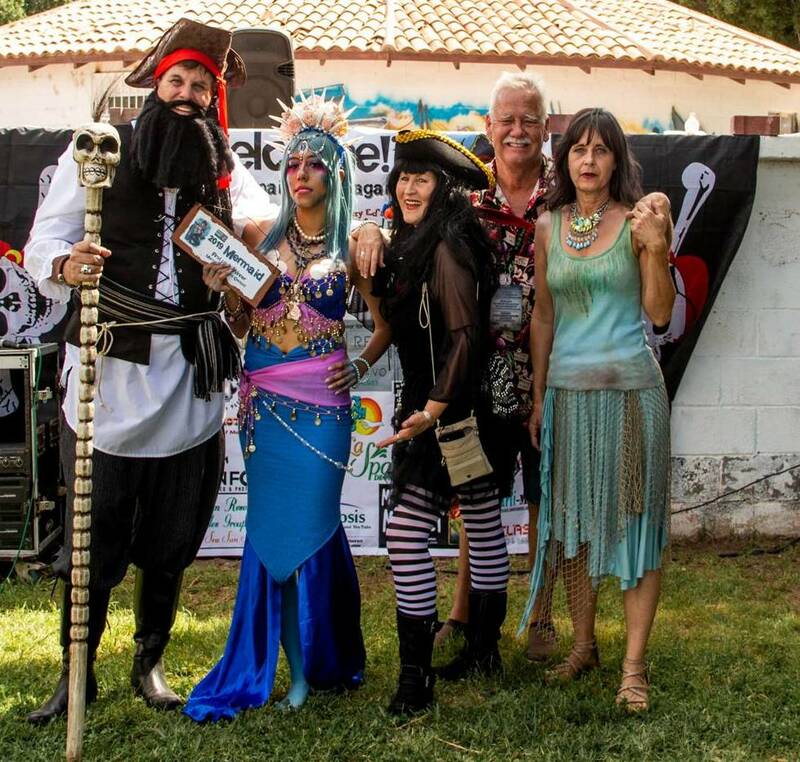 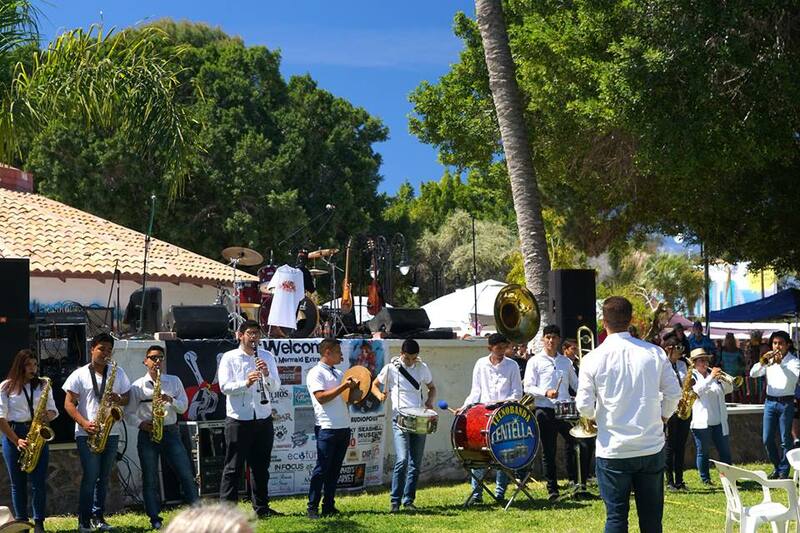 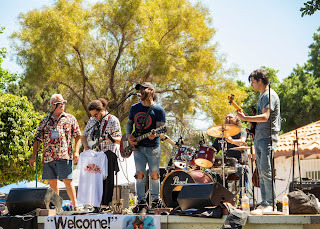 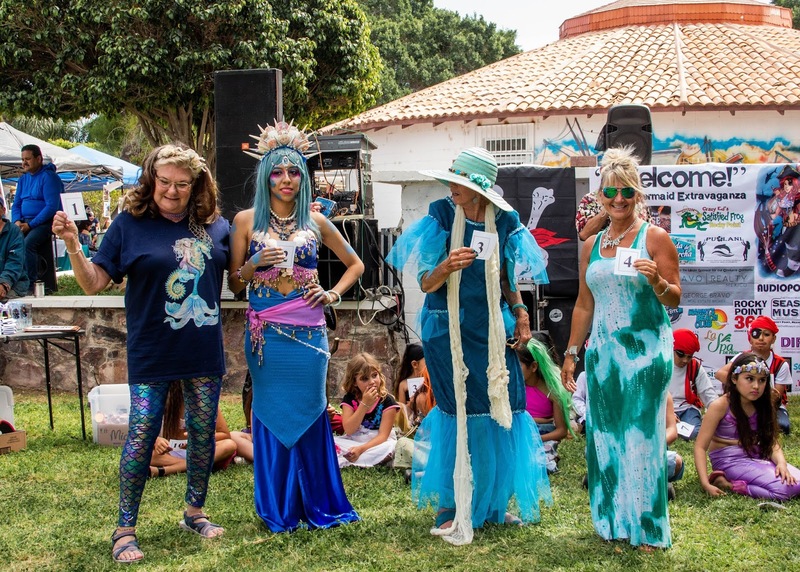 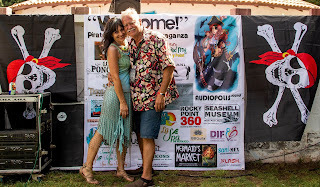 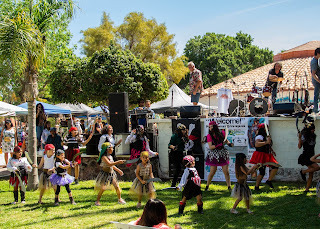 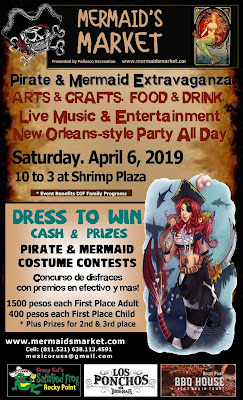 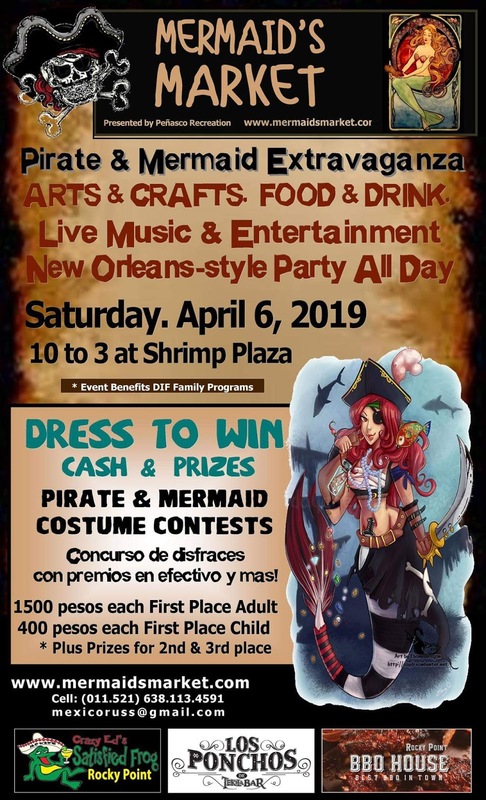 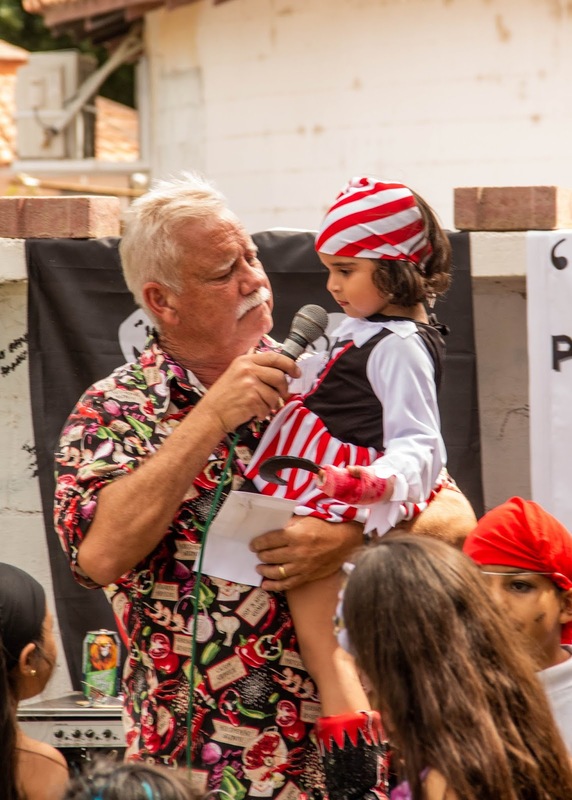 However, 2019 will see the return of the Pirate and Mermaid Extravaganza, bringing the musicand tastes of a New Orleans Cajun party to Peñasco - with pirates and mermaids galore! 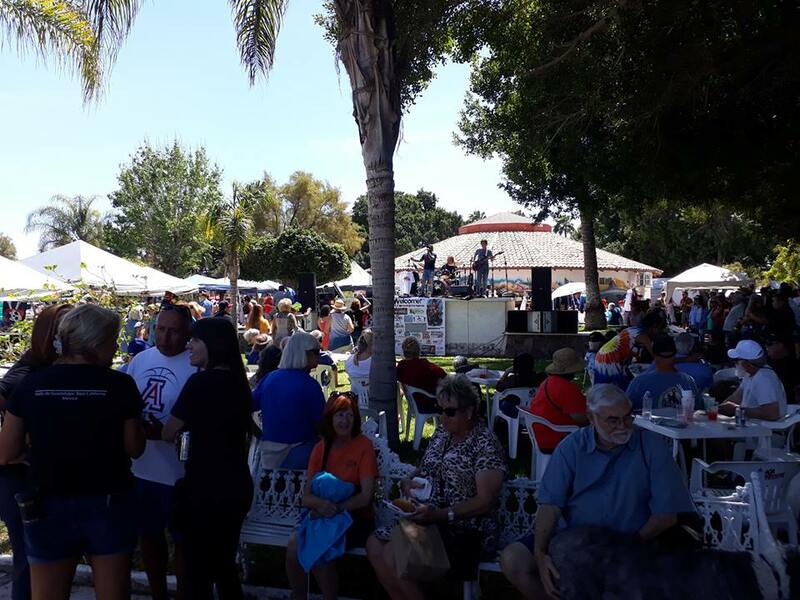 We will have live music & entertainment throughout the day along with food & drinks specials! 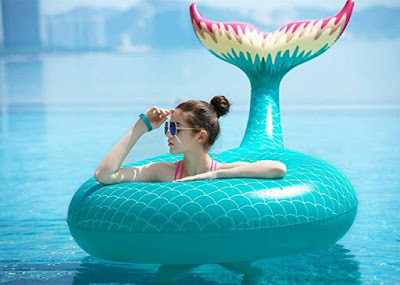 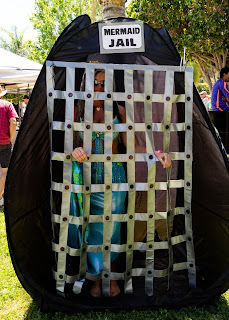 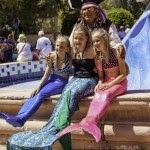 The Mermaids invite everyone to join the fun by dressing up as a Pirate or a Mermaid. 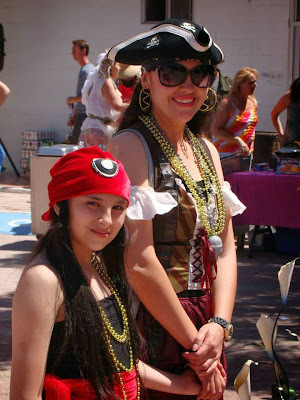 for the best costumes in 4 categories: Adult and Child Pirate & Adult and Child Mermaid. We have a few more surprises planned! 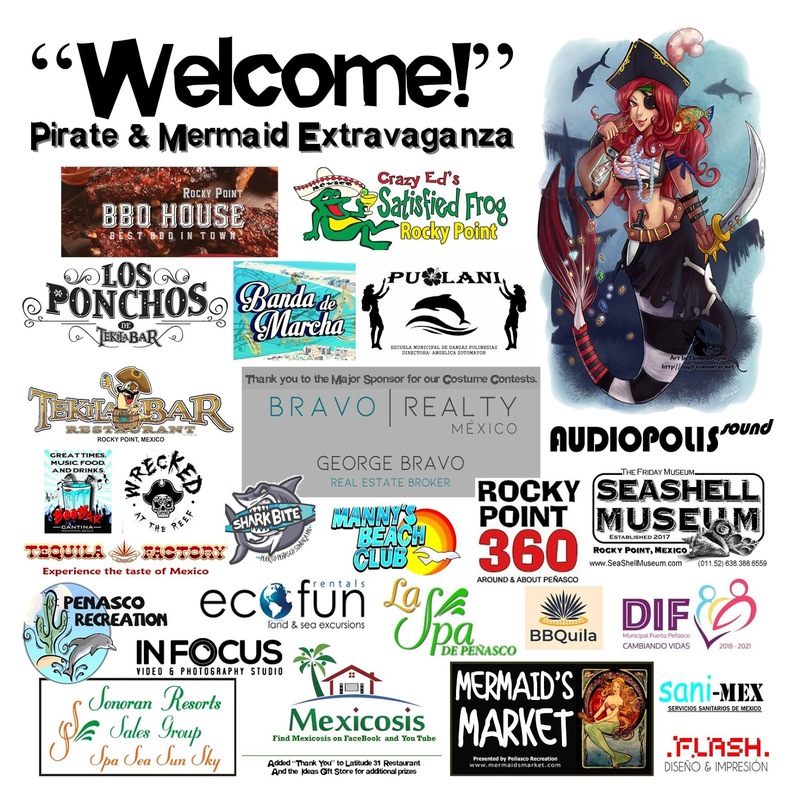 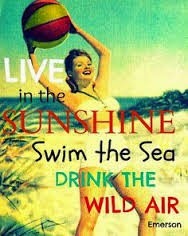 Enjoy the day with a whole crew of Pirates and Mermaids! So…April 6, 2019 - it’s a date, right?